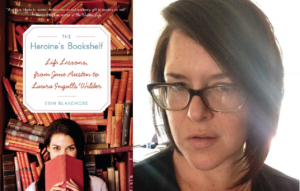 Back in 2012, someone put Erin Blakemore’s book, The Heroine’s Bookshelf: Life Lessons, from Jane Austen to Laura Ingalls Wilder, in my hands, and I gobbled it up like a guilty pleasure. When it comes to the classics, we all have our favorites, and many of mine include heroines that simply cannot be forgotten. They are power houses of strength—whether they seem it or not, whether they themselves realize it or not. The Heroine’s Bookshelf analyzed so many characters I knew so well that I could practically call them friends and allowed me to revisit each of them in a new light. The best books are the ones that stay with you long after you close their pages. Ironically, Erin’s book about so many books had that same effect on me. Erin Blakemore is a Boulder, Colorado-based journalist, historian, and author. Her work has appeared in publications like TIME, The Washington Post, Smithsonian, and more. 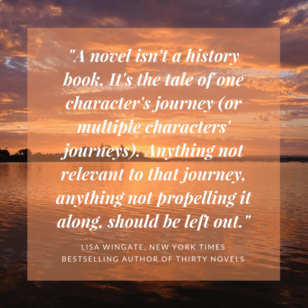 Her debut book, The Heroine’s Bookshelf: Life Lessons from Jane Austen to Laura Ingalls Wilder, was published by Harper in 2010 and won a Colorado Book Award for nonfiction. Learn more about Erin at www.erinblakemore.com, or follow her on Twitter @heroinebook. Kris: You’ve said that you’re a person who gets paid to be curious. I know how that curiosity can drive what you choose to write about, but does that curiosity ever drive how you can put together a sentence, open an article, or revise a chapter? Erin: Absolutely. I’m drawn to narrative, so I always try to find a “make me care” moment to insert, regardless of the length of a piece. What’s the nugget or anecdote that’s going to make someone talk about the piece at the dinner table or the next time they see their friend? Usually, that little kernel is the thing that got me into the idea to begin with. I try to let that be my guide. Erin: RESEARCH. It’s the historian in me; I could do the research all day long. In part, it’s a procrastination technique—with longer-form work, the drafting is incredibly difficult for me for whatever reason, so research is something I cling to as long as possible. I always try to remember the reason I’m doing the research, though. Sure, it’s cool to know a lot, but it’s a lot harder to be selective with the details I choose to reveal and not throw the veritable book at my reader. As long as it isn’t a crutch and it gives context and depth, it’s worth doing. That said, at some point, I have to cut myself off and, you know, write. 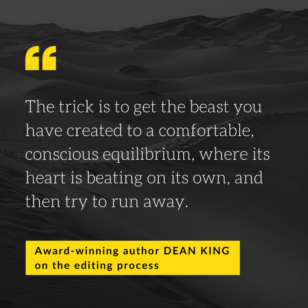 Kris: Is your editing process different when you edit a book versus when you edit a shorter essay or article? Erin: So, so different. I produce a lot of short work right now, and I’ve gotten to the point where my stuff doesn’t need a ton of massaging because I have a good sense of rhythm. Often, I’ll plunge into the middle of a story, then pin on the lede and kicker at the end so there’s a good progression. Since speed is so important in my profession (and to make sure I make a decent rate as a freelancer), I try not to get caught up in editorial crises of my own making. If it’s getting too complicated and I don’t have a sense of a piece’s structure, it’s time to get as simple as possible. Erin: For some reason, my angst and imposter syndrome like to rear their heads when I do longer work. My brain is always telling me that I’m not accomplished enough to take up that much space, or something. Blech. For that reason, I have to do what I call “the fun round” at the end of every long project. I go through and ruthlessly add fun—livelier words, shorter sentences, less repetition—so that I don’t bore myself and my readers to death with my fear-generated jargon. Cutting through that crap helps me confront the things I’m curious about head-on. Kris: Are there any words or stylistic choices that you know you sometimes overuse? Erin: Can you tell I’m into the em dash lately? Kris: I’ve fallen off the em dash wagon many times myself. It’s such an easy punctuation mark, it can make for a slippery slope, really. Last question for you: what do you wish a younger version of yourself knew about the process of editing a book or any other type of writing project? Erin: You will not be the only person who touches your work, and that’s a good thing. 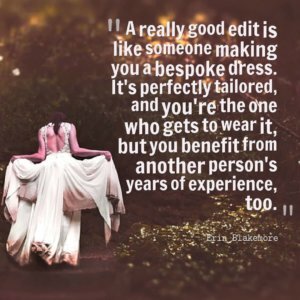 I used to be so insecure and competitive, but I’ve come to realize that a really good edit is like someone making you a bespoke dress. It’s perfectly tailored, and you’re the one who gets to wear it, but you benefit from another person’s years of experience, too. Earlier this year, I had a piece appear on the front page of The Washington Post‘s health section. Their copy desk is notoriously fastidious (as they should be!) and getting a thorough fact check and copy edit from them was nothing short of thrilling. The story was about a dearth of data, and they pushed hard to make sure that it was as accurately expressed as possible. It was such a relief to me—and where years ago those challenges to my work would have felt like a challenge to my validity as a person, this time around I realized how vital they were and how much better it made the piece. “Colleagues, not competitors” is a phrase I use as a reminder when I get insecure about those collaborations, and it’s served me well. It’s the same thing with a book. Before being published, I had NO IDEA how much work from non-authors goes into creating a book, from the agency side to editing, copyediting, typesetting, design, sales, production, shipment, bookselling, and reading. So many hands touched my book before it hit readers’ shelves, and every single pair of hands made the book that much better. We all had the same goal, and the end process was something more meaningful than I could ever have done on my own. 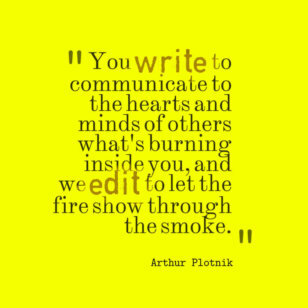 It’s what we love about our favorite protagonists; it’s what we should also love about our writing and editing process, isn’t it? Every time we jot down new words or strike through not-quite-right phrases, we’re taking our power into our own hands, getting ready to show the world our best. There’s certainly a type of heroism there too. Thank you so much, Erin, and happy writing, writers!